Everyone wants to live in a house with their dream kitchen. But the chances of moving into a home that has everything you want in a kitchen are pretty slim. And you might not have a full-scale renovation in your budget at the moment, either. The good news is that you don't need to do a full-scale renovation to get your kitchen feeling like new to you. Here are a few simple ways you can give your kitchen a facelift without the demolition. Your hardware has a major impact on your house. Old cabinet hinges can make your kitchen feel shabby and can make reaching for a dish a noisy process. Consider switching out your old cabinet hinges with new soft close hinges for a quieter cabinet. New cabinet pulls can also make your kitchen look fresher and more modern. Oftentimes paint is restricted to the living room. But if you don't have it in your budget right now to get the kitchen backsplash you want, you can use paint to create the same effect. Press-on tiles can also give you that new-backsplash-look you're going for at a fraction of the price. Already have a backsplash that you're not fond of? Tile stickers can fix that problem for you. You don't need to install brand new cabinets to add in open shelving. If you're looking to show off your beautiful glassware or colorful cookbooks, consider taking off the doors of your cabinets entirely. You can paint the inside of your cabinets to give the new space some extra flare or install wallpaper to really make your open cabinets pop. Just be sure not to throw your cabinet doors away in case you later decide to change things up. Looking for new cabinet pulls and other hardware for your home? 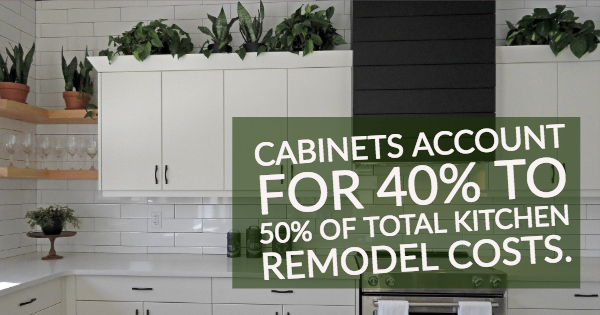 Cabinets account for 40% to 50% of total kitchen remodel costs. But you don't need to completely remodel your kitchen to get the same feeling of a remodel. Workers Hardware offers a variety of cabinet pulls, cabinet lighting, and cabinet runners to make your kitchen feel like new without demolishing anything. To learn more about our cabinet drawer slides and other door and cabinet hardware, contact Workers Hardware today.